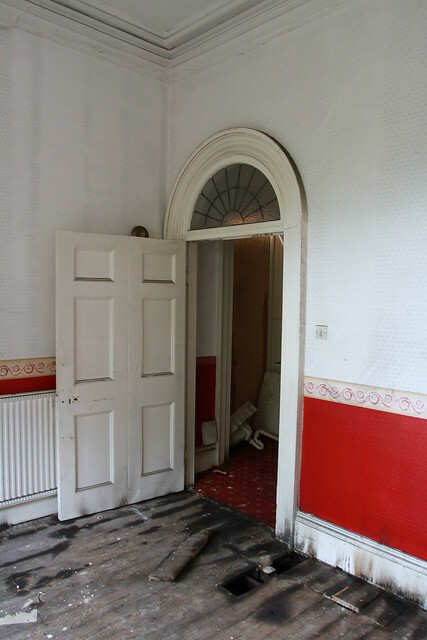 In 1775, William Johnson decided to build a mansion house at Silksworth, the fine moulded ceilings date from this time and are still visible in the house today. 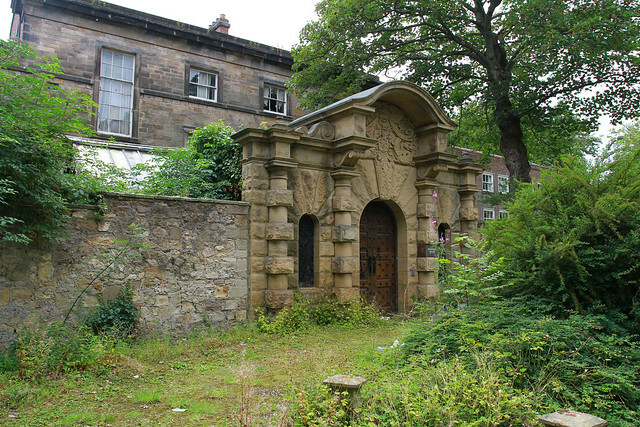 William Johnson then tried to let the property, according to an advert in Newcastle papers in 1783. He died in 1792 leaving the property to a friend, the lawyer Hendry Hopper of Durham. Hendry in turn left the estate to his nephew Thomas Hopper. His daughter and heiress was Priscilla Marie Hopper who married General Beckwith. 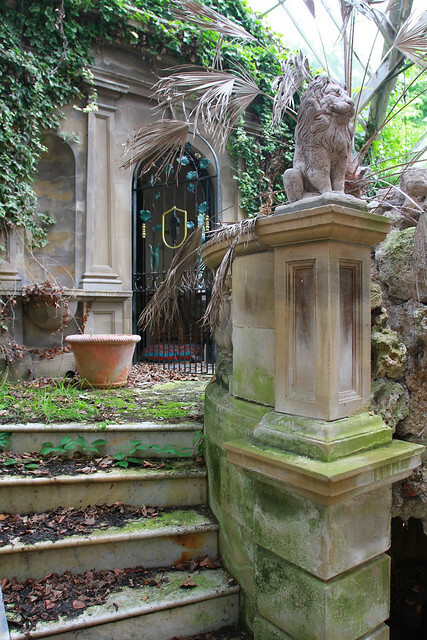 They built the main entrance, which has the Beckwith arms carved above the front door, the Winter Gardens and drained much of the surrounding land. The Beckwith family moved to Shropshire about 1890, there is still a Captain Beckwith living in London. The estate was then leased to John Craven (British Ropes) who died in 1902. Then Charles Doxford took a 99 year lease. His brother Robert also bought Silksworth Hall (the second one) at the same time. Charles Doxford, with the help of his Head Gardner Henry Samuel Whitely extensively laid out the gardens and lake before the 1st World War. Henry Whitely came from Lowther Castle and was responsible in 1885 for the displays and floral decorations for the visit of Kaiser William II Charles Doxford’s ship building company was then at its height and he was a very wealthy man. His son Charles Junior lived at Burdon Hall, whilst his daughter Aline Doxford continued to live at Silksworth/Doxford House after her father’s death in 1935. Her mother had died many years before (they are both buried in St. Matthew’s, Silksworth). Aline Doxford on her death, in 1968, bequeathed the house and estate to Sunderland Corporation. Her will was declared at £292,231. 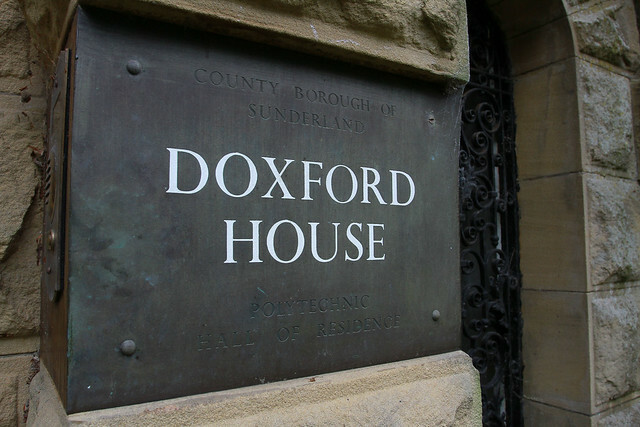 The house was renamed by the Corporation to Doxford House in honour of the contribution made to the town by the Doxford Shipbuilding Company. 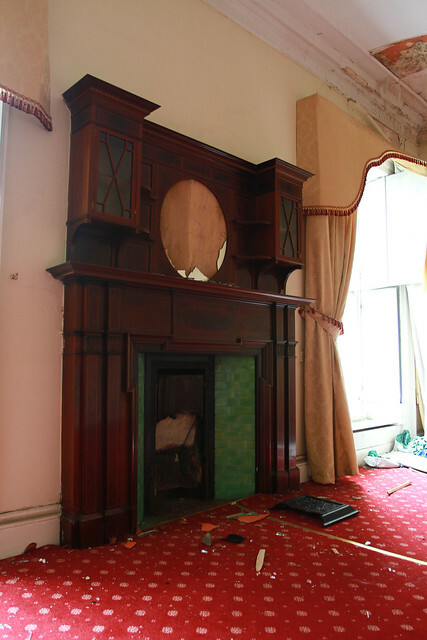 The house was originally taller; a storey was removed after fire damage. 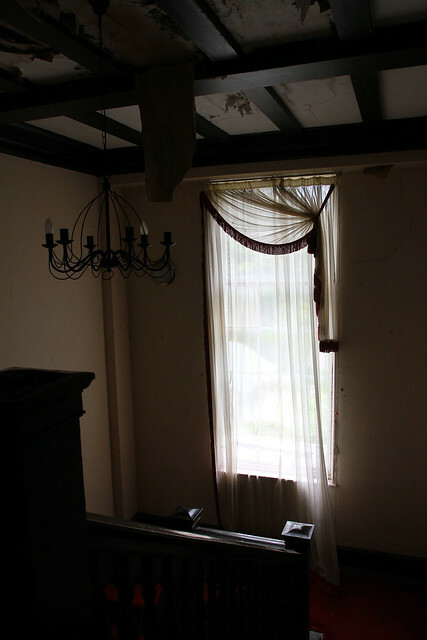 The date 1847 is marked in the rafters, and a wing was pulled down by Aline Doxford at the time of the 2nd World War, as she thought the house too big for one person. Her brother had the semicircular wing as his quarters before his marriage; he later died in the Lake District where he and his wife had gone to live. The ghost of General Beckwith has been sighted many times since the 1930s at the foot of the stairs and in the master bedroom. The house was occupied by the Sunderland Polytechnic from 1969 to 1992 when the Polytechnic became University of Sunderland and was mainly used for student accommodation. At this time, a large and ugly residential wing was added to the north side of the building. The Lazarus Centre was started to feed and clothe the poor and underprivileged people of Sunderland. Through this work and personal tragedy involving a family member, it became apparent to the trustees how desperate was the need for Alcohol & Drug treatment in the North East. 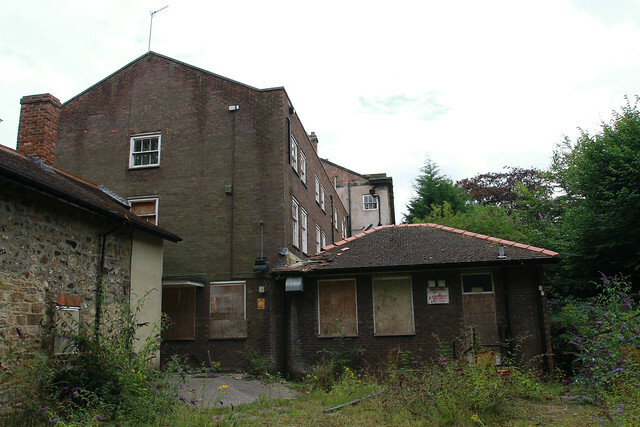 The Lazarus Centre moved into this field of treatment in 1998. 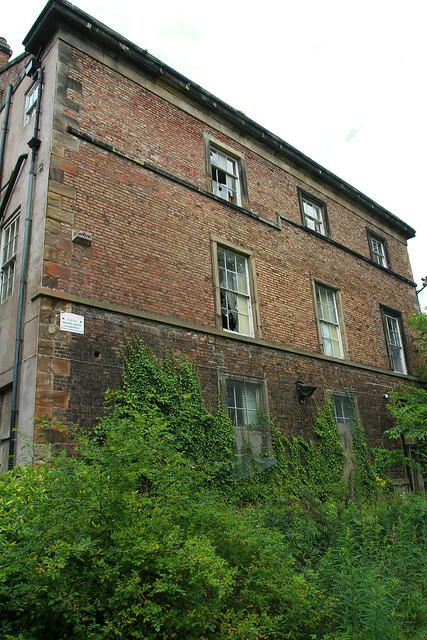 Doxford house was chosen as being ideal for this purpose and was purchased as near derelict. The Lazarus Centre opened its doors in the summer of 1999. During a period of 6 years, over 500 people were treated at the centre from all areas of the UK, its reputation stood second to none. 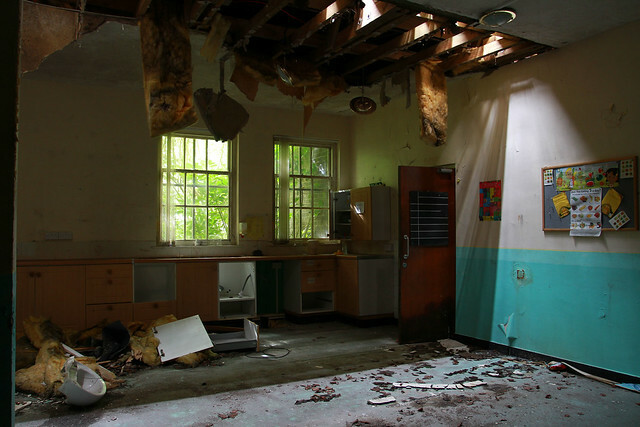 Around 2005/06 the Trustees of the Lazarus Centre found the costs of running the building too expensive, so the building was sold. 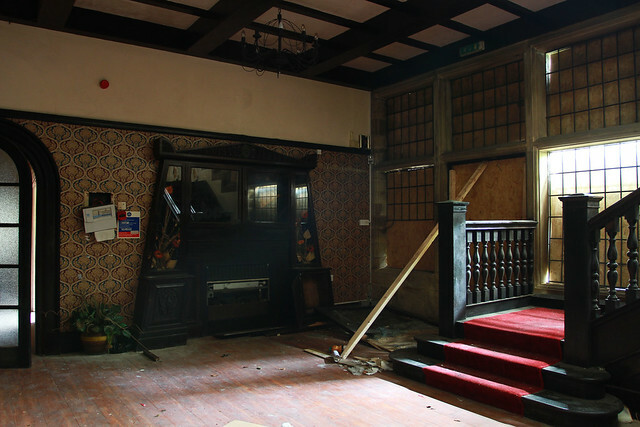 The buyer had intended to use the building as small hotel; however Planning was refused, they wanted less rooms, but this wasn’t a viable option for the buyer. The building was then sold to a small consortium. The consortium has submitted plans to the Council for uses, varying from apartments and town houses to a hotel. An arson attack on Doxford House Conservatory, five Fire fighting appliances were employed to try and save the building. 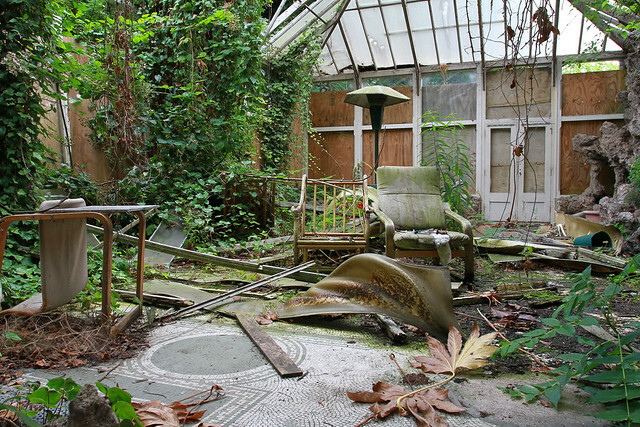 The conservatory has been left in quite a sorry state. 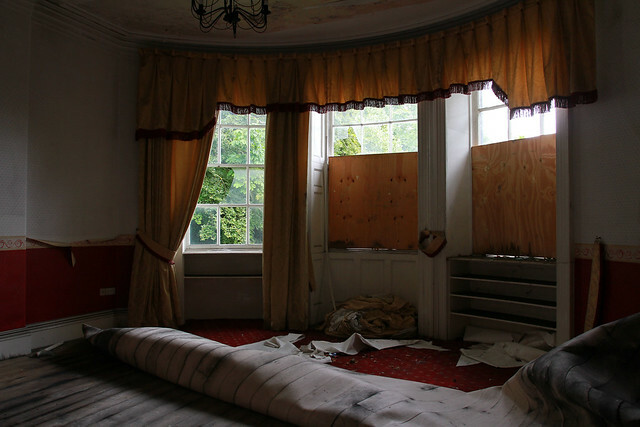 The theft of a 300-year-old tapestry from Doxford House, in Sunderland. 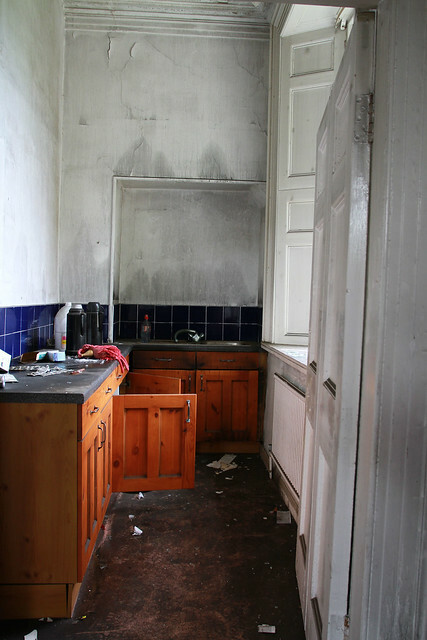 The arson of the lounge, reducing it to nothing but ash. 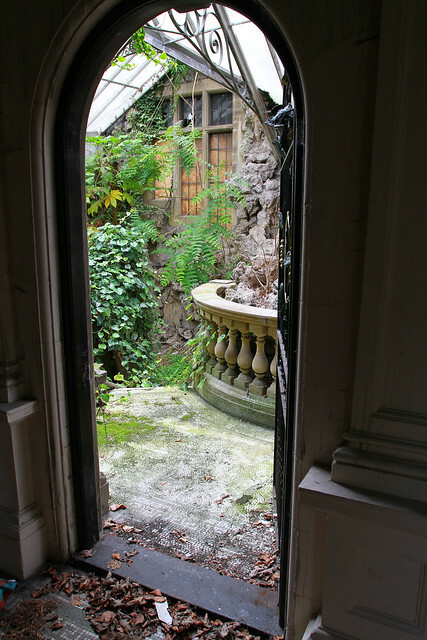 The Main Entrance to the house, through the archway and then through the conservatory. The 1960's wing can be seen to the right. Inside the entrance porch coming through into the Conservatory. 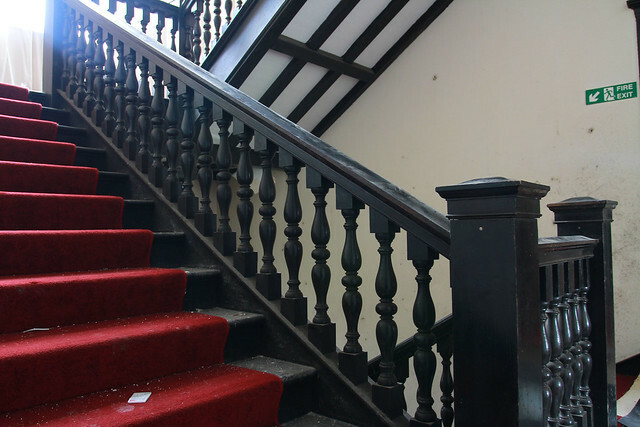 The marble stairs leading down from the entrance porch. There are two sets, both flanking an ornamental fish pond. 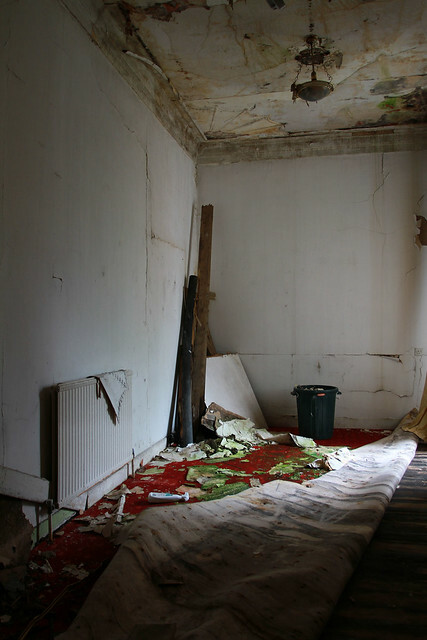 The Conservatory, in a bad state of disrepair after a fire in 2010. After the conservatory, you enter the entrance hallway. 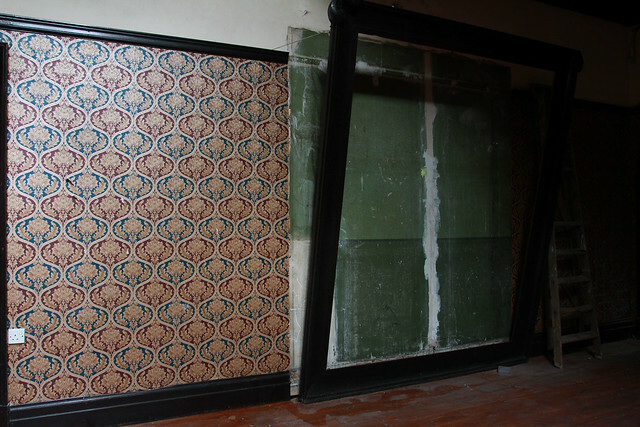 This is where the 300 year old tapestry would have been. Directly above it there would have been a mooses head, which was also stolen. 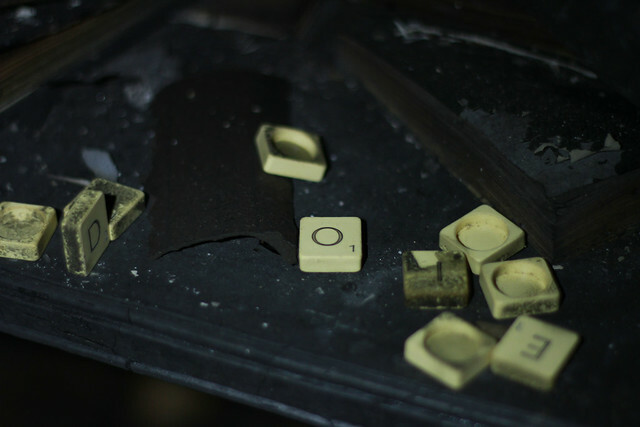 A few charred remnants in the lounge, nothing more though. Downstairs there were several other rooms, with lovely ornamental fireplaces. 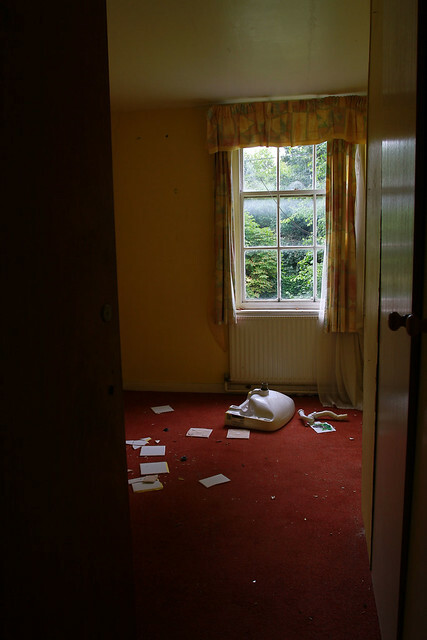 There was one locked room, which on looking through a keyhole contained bookshelves and was obviously a study at one point. Where the ghost of Captain Beckwith can reputedly be seen.. 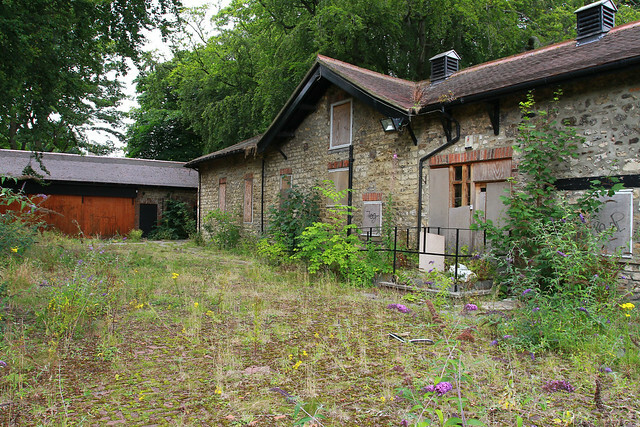 Stable blocks, which had been converted recently to some kind of gym thing. Different sections all joined together. Hope it gets bought and saved soon.